Buzz off! – Pistons beat Hornets in overtime, in a thriller at The Palace. Will Bynum, who was recently benched in favor of Tracy McGrady, got a chance to remind us of why Joe Dumars viewed him as a key re-signing this past offseason. Bynum, who was able to see significant minutes in this game due to Richard Hamilton (upset stomach) and Rodney Stuckey (toe) both missing the game, scored 21 points off the bench on 8-10 shooting to go along with 9 assists. Tayshaun Prince with an impressive stat line on the night (28 points, 12 rebounds, 8 assists) – but even more impressive was his weak side block on a Chris Paul shot to help send the game to overtime. 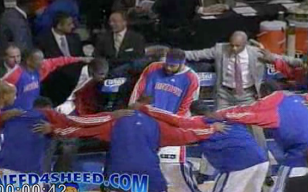 How awesome was Jason Maxiell’s play to close out the game in overtime? Sure, he could’ve dribbled out the clock but… to play devil’s advocate here, Maxiell works so hard to get this loose ball he deserves to flush the ball with authority like he did. Tracy McGrady left the game early with a sore groin – yeah, he’s healthy. DaJuan Summers played 9 minutes and was 3-4 from the field (including 2-2 from 3) for 8 points. I’d like to thank New Orleans’ coach Monty Williams for playing Marco Belinelli over dynamic 2nd year guard Marcus Thornton. Thornton, to me, would’ve been a perfect candidate for the “Player no one has ever heard of that the Pistons make look like an All-Star”. David West scored 32 points and had 9 rebounds – he usually plays the Pistons tough. Chris Paul knows how to make the most out of playing with the least, doesn’t he? He scored 23 to go along with 10 assists. Natalie wanted to receive “Chicago Bulls Ben Gordon” for christmas, and she got him tonight. 25 points and 7 rebounds with back to back 3s at the beginning of the 3rd quarter to help cut into a 10 point lead. Detroit outrebounded 37-27, but they made the extra pass tonight by getting 26 assists compared to the Hornets 18. Ben Wallace only played 19 minutes tonight. Is it time to give Big Ben a rest? Jason Maxiell didn’t do much to fill up the stat sheet, but in 21 minutes he ended up with a +7 +/-, good for highest among all bench players. Up next, the Pistons travel to Toronto to face the Raptors in a rematch of what has been one of the most embarrassing losses in team history. Are the Pistons going to be able to string back to back wins together, or are we looking at another embarrassing loss on the horizon? They get a couple of days off between now and then, so hopefully the ailments that kept Stuckey and Hamilton out are healed up, so we can see how Kuester deals with them both after Bynum and Gordon’s good game tonight. As always you can follow Natalie and I on twitter, if you’d like. 35 Responses to "Buzz off! 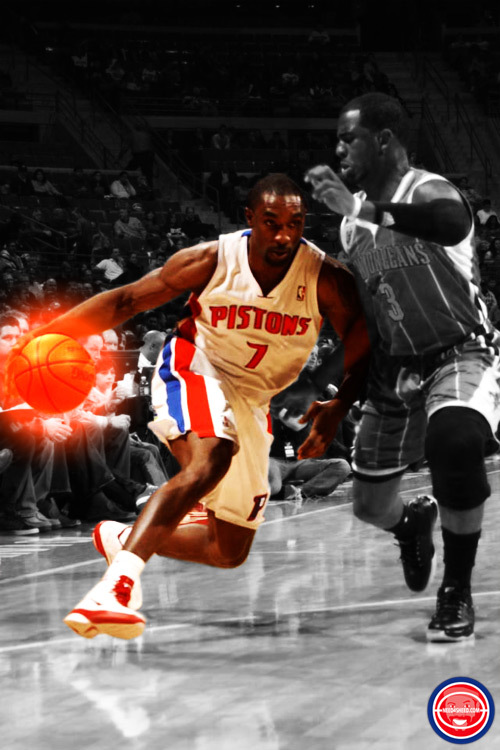 – Pistons beat Hornets in overtime, in a thriller at The Palace." Much respect for the crowd @ the Palace. No doubt the most entertaining game of the season, what a fun game to watch. For once, was proud of EVERY guy that saw the floor tonight. Everyone contributed in some way to this win. Big production in small minutes from Summers, huge defensive plays down the stretch from Maxiell, Tayshaun was a BEAST in every aspect of the game, Ben Gordon was finally allowed to be Ben Gordon (no giving up minutes to Rip) and look at how he responded. But I have to give major credit to a guy I have bagged on all season. I will always give credit when it is due and Will Bynum ran the point very well all night, better than Stuckey has on most nights this year, and much more like he did last season. Was great to see. Only “negative” I can give, is I don’t buy the “upset stomach” of Rip Hamilton for a second, I don’t care what gets reported. Maybe “upset ego” or his stomach started hurting as soon as he was told BG is starting. 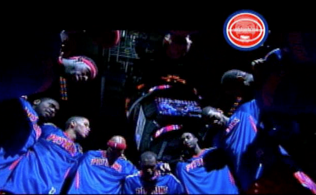 For the good of Rip and this team, somehow, some way Dumars has to find a way to move him. It is time to move on for all parties involved. I’m sure Tayshaun will leave via free agency but the way he has played this season, I’d have no problem seeing him return and I’m sure that is not a very popular opinion around Detroit. 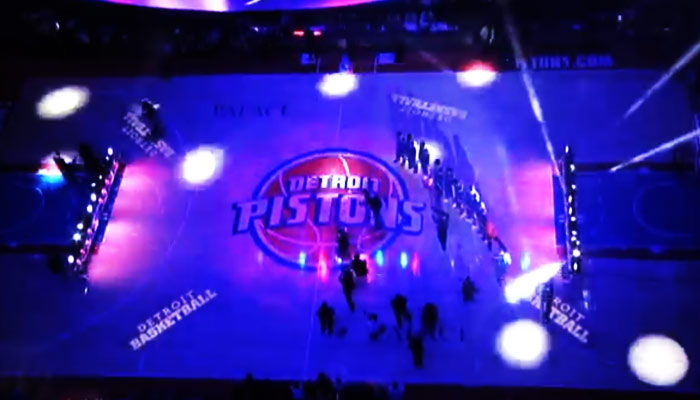 Fun night of Pistons basketball for once this season! I’m soooo over Mr. Hamilton. I thought Rip was traded when I first saw 0 mins across his name. hope stuckey is better by wed he is our best player. no doubt. It explains a little bit about what happened on Friday. I think Stuckey must have been hurt and tried to play through. Hamilton is another matter. It was long since past time he was relegated to the bench. Hope this is a sign of things to come. ya i know if you have a injury to your big toe it is very hard to make jump shots you dont have that extra push when you try to jump. his shots did look a little flat. hope hes back to healthy soon, hope rip is traded. . . soon. Yep, our starting guards were sidelined by a tummy ache and a stubbed toe. Not bloody likely. Great effort tonight, this is what the team should look like every time they hit the court. No more Rip. Stuckey has to earn his spot back too. Too many so-so efforts from him. I am a season ticket holder and was at the game. I know quite a bit of people who work there and there is a lot of chatter going around right now about a big trade that is in the works. What I was told was that the Pistons have asked Rip and Stuckey not to dress due to a potential trade. When I first heard the starting line up announced, I looked to my sister and told her that I thought they had traded them. The rumor floating around is that the Pistons are in talks with Dallas, but nobody knew for sure. Another season ticket holder claims she had seen Rip at Great Lakes crossing a couple hours earlier. A person with a stomach virus does not go to the mall. Neither Rip or Stuck were in attendance, so I really believe that something is going to happen soon. Or at least that is what I was told. I just wanted to update you on what I heard from the people at the Palace. they better not get rid of stuckey, he is by far the best piece we have on this team. you dont trade your best player away, you build around them. hopefully it was just rip and not both of them in the trade. Great win, but y’all must be loco dissing Stuck he has been the most consistent player on the team. the two games before last saw him get 22 assist! If they trade Rip beautiful, if they threw in Stuckey they better be getting something crucial in return. That’s all I’m saying. Oh yeah, that and I’d love to see Tayshaun Prince retire a Piston. and one game before he scored 5. Right now, Charlie is the most consistent, followed very closely by Prince. With Stuck, you never know what you are going to get. When he dishes the ball out, he stops moving and watches the rest of the play go by. When he goes to the rack, you pray he gets fouled cuz he’s missing ALOT of layups this season. Then there is the Stuckey who can’t get anything done at all, and gets 20 minutes cuz Q is sick of it and hooks him. No diss to Stuck…he had an injury. Confirmed yesterday by the media that covers the team. At last, Ben Gordon, I see you scoring! About the rumors – I don’t think I wanna see Haywood as our starting C – he has enormous 6 years contract! as long as stuckey stays go for it. throw in maxiell or wilcox maybe even summers but DONT get rid of stuckey. you’ve gotta give the other team a reason to make the trade – especially when it’s a bad contract you’re trying to dump. Stuckey is probably losing value every day that he plays because he is not a consistent point guard and he has gotten better shooting from the perimeter, but it’s a slow improvement. Richard Hamilton is going to have to be paired with a big expiring OR young talent. – Summers has no value, Daye has little value right now, Jerebko has value but he’s hurt. I’m betting the clippers will be willing to part with c.kaman but we probably have to give up tayshawn. They wont be needing rip. so trade our only valuable expiring deal for an injury prone center with a bad contract? Good win for us and I also liked this starting lineup it should be permanent exept Stuckey or Bynum for T-Mac. And Boney, I like how you think your all that. we are so hungry for a trade, that we will clutch at any rumors. After the Langlois interview he asked to talk to Joe Dumars off the record for background and here joe admitted THERE IS NO TRADE. NOTHING. Clearly Rip is sick of playing. Put him on the floor he’ll pick up a double tech for an early evening faster than you can say “Winner Winner Chicken Dinner”. I assume Stuckey has a legit toe injury . . . Until he is also pulling a “Rip Hamilton” and faking an injury so he doesn’t have to come off the bench. i think stuck is actually hurt. i dont think he would care to come off the bench, as long as he was playing . . . . rip on the other hand, well we went through this with iverson. Nah Stuckey seems legit. Rip on the other hand just seems over it. Same as we are with him. I LOVE the old rip, but this rip is just draining to the team. I know what its like to be in a basketball team with people who dont want to be in the team and it ruins all kinds of chemistry. Can hardly imagine the effect it has at an NBA level. Ironically we come out with a win when that Player doesnt play. Another great thing is it free’d up some time for DaJuan Summers who was ready to play. Great to see. as to what i said earlier about trading summers. i really like him i think he will be a good player, that is why he does make good trade bait. but i do wish we can keep him. since when did a ‘bruised ego’ become a legit injury? Chicago didn’t include Taj in the deal for Boozer – so it’s apparent they are high on him..
that, and, the contracts don’t match. Just what we need: another mediocre power forward.